Brian, can you talk a bit about your background as a photographer and how and when you took up photography? The only ‘A’ level I passed at Torquay Grammar School in 1979 was Art, so Art School seemed the next option. I moved next door to the Technical College to take a one year Art Foundation Course. Here, you have a go at everything including sculpture, pottery, printmaking, jewellery, life modelling, photography, painting and drawing. I then applied to Exeter for Fine Art, Brighton for Graphics, and Bournemouth for Photography and Film. Luckily, I was accepted at Bournemouth for a three year Diploma Course. Nick Knight, the renowned fashion and documentary photographer, was in the year above me and always in another league. 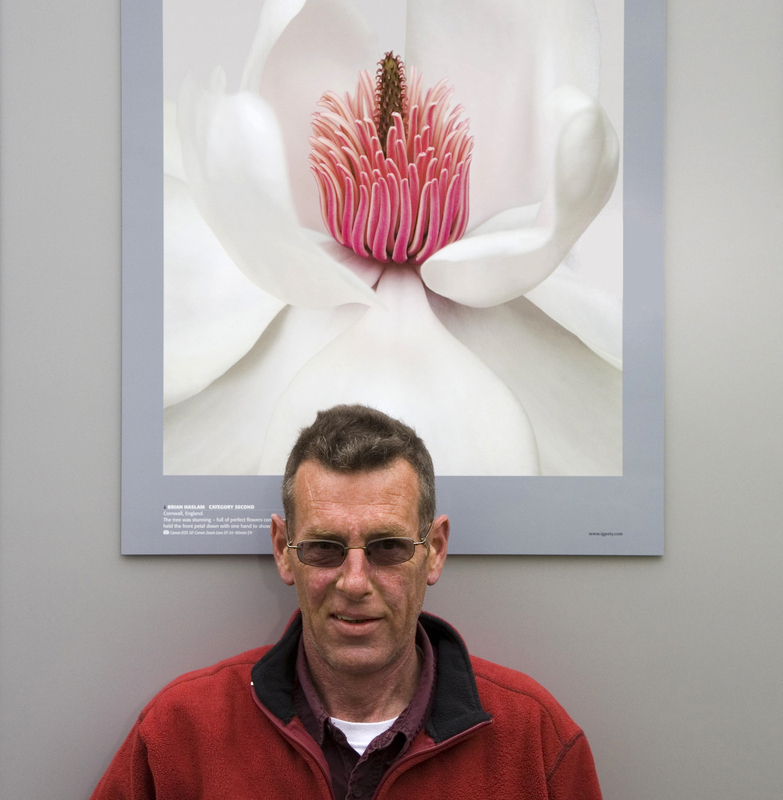 After graduating, some of us gravitated to London to look for assisting work and advertising photographer Paul Windsor took me on as assistant which was an eye opener. His equipment ran from Nikon to Hasselblad to Mamiya and to Sinar for 5×4 and 10×8. Lighting included tungsten and strobe flash on an industrial scale. Until then, I had never even heard of an art director, and Paul had worked as an art director and photographer for fifteen years, For me, it was the introduction to the world of advertising photography and advertising agencies. Eventually, I had to return to Torbay. I have taken some book signing photos for The Torbay Bookshop, and worked for many years as a wedding photographer. On the amateur and personal side, the choice seemed to be landscape or flowers. Since you need to travel for dramatic landscapes, I settled on florals. I used to visit gardens open to the public, but now try to grow my own to have more control over the photos. A clean background always helps when shooting flowers, as well as no wind.